Download our free “Price Increase Calculator Tool” and see just how sensitive your business is to price increases. Are you like most business owners, and worried about putting your prices up? With this tool, you’ll be able to work out just how sensitive your business is to increasing your prices. Are you worried about losing your customers, as a result of putting your prices up? With our Price Increase Calculator Tool, you’ll be able to see just how many customers you could lose, as a result of putting your prices up…and be no worse off. And then a more informed decision about whether or not to make the change. Are you worried about your profit margins and how they are being eroded away, as a result of holding down your prices? With this free business tool, you’ll be able to test your numbers, before you commit to putting your prices up, to see what level you might be able to increase your prices to. Would you like to find out how your profits will be affected by increasing your prices? Within a few short minutes of entering a few numbers in this free business tool, you’ll see just how much extra profit you’ll make if you retain all your customers after the price increase. Increasing your prices is an important decision to make, and not one to take lightly, so having our Price Increase Calculator Tool to help you with this process, will make the decision a little easier. As this decision is difficult for most entrepreneurs, we want you to have this free business tool, with our compliments, as we know just how difficult business owners find it to put their prices up. Previously, when I ran my Chartered Accounting Practice, I would have many a conversation with clients that were scared to put their prices up…believe you me, I was in the same boat as my clients. However, what was interesting, when I held my first client advisory board, some of my clients were telling me that I should increase my prices, as I was providing such a good service. For you, help is at hand with our Price Increase Calculator Tool, in which you can quickly and easily see how much you can increase your prices within your business, without being any worse off. 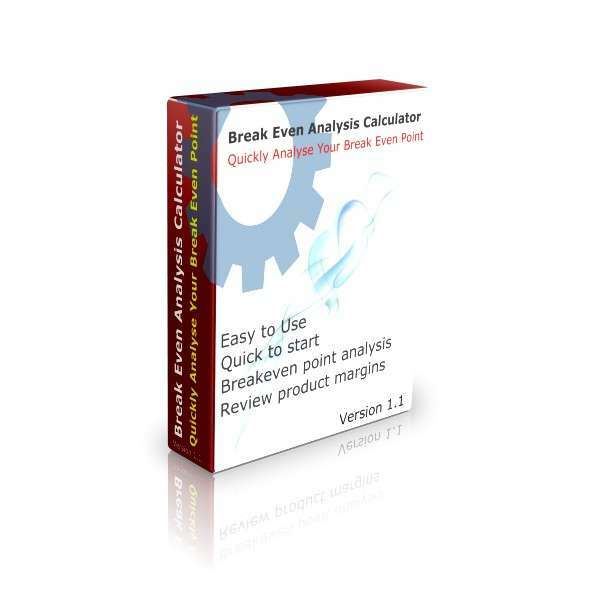 This free business tool comes with a short user manual and is very easy to use and to understand. There is nothing complicated to work out, all you need is a few numbers from your accounts, and you’ll have the answers at your fingertips. Work out just how sensitive your business is to increasing your prices. See just how many customers you could lose, as a result of putting your prices up…and be no worse off. Test your numbers, before you commit to putting your prices up, to see what you might be able to increase your prices to. See what additional profit your business will make at the higher price levels, on the basis you retain all your clients after the price increase. This tool is ideal to be used in conjunction with our Increase Profit Software, as a part of looking at ways to increase your profits and improve your bottom line, as putting up your prices is just axpart of one of the 7 ways to grow your business. However, instead of not knowing quite how things may turn out, you can quickly run your numbers with this tool, before you make any changes. The focus of this easy to use business tool, is to see how sensitive your business is to price increases and how many clients you could lose at the higher price, to be no worse off. However, the tool will also show you how much extra profit you will be making, should you not lose any clients, at these higher prices, which of course is the name of the game. But it is good to be ahead of the game and know where you stand before you make any changes. I have written an article about increasing your prices and ideas to help make sure you retain your customers, which can be found here.